Undergo a major redevelopment and renovation to modernize the shopping centre, while meeting the needs of the trade area by upgrading the quality and diversity of the tenant mix. Devonshire Mall, Windsor Ontario, is the only super-regional shopping centre in it's trade area and has been an active partner in the community since opening in 1970. Over the course of five decades and four major expansions, Devonshire Mall has remained the busiest shopping destination in the Windsor-Essex region. To maintain Devonshire Mall's market position, an ambitious and innovative redevelopment plan was designed to appeal to fashion-savy shoppers' desire for high profile brands and dining options that align with current lifestyle trends. 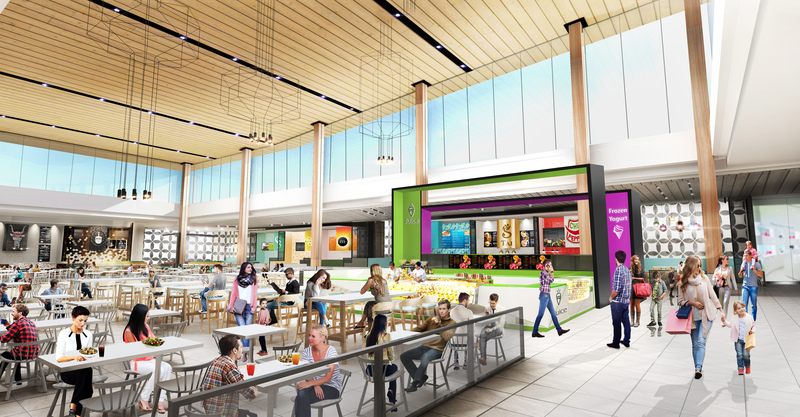 Between the anticipated relocation of the foodcourt and elevated design features, excitement for Devonshire Mall's transformation has grown. 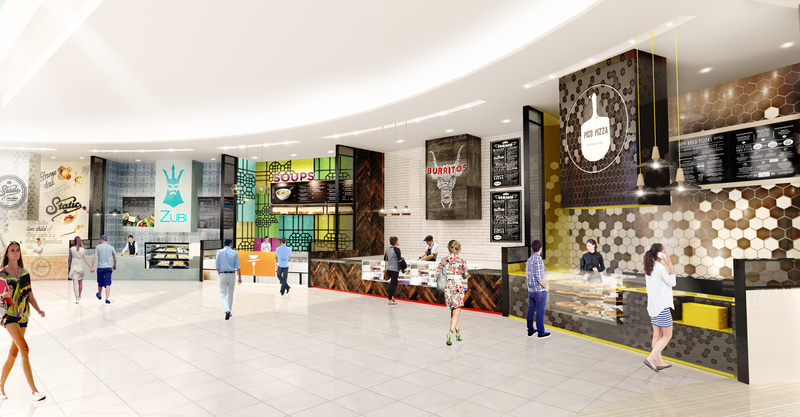 The new food court will increase from 12 to 15 retailers and will provide additional seating incorporating an array of cozy banquettes and single seating counters. The look and feel of the architecture has been designed to create a warm and timeless atmosphere throughout the centre. The combination of large clerestory windows, new skylights, and new ceiling and floor treatments will define the entire mall as welcoming and spacious. 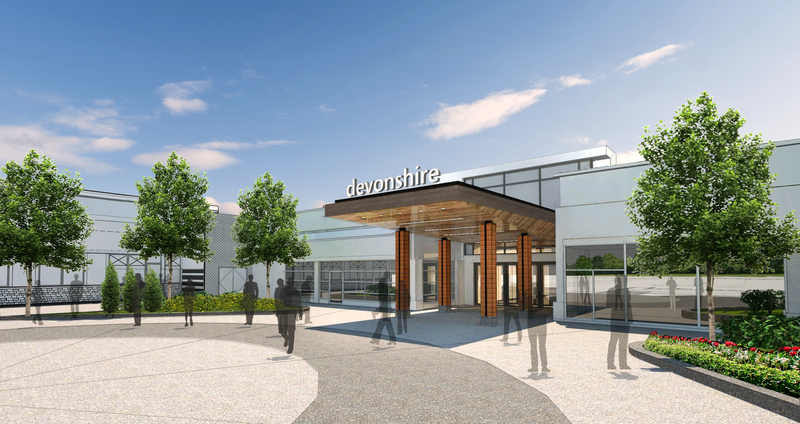 One new and four renovated entranceways will provide strong curb-appeal and a consistent passageway to all offerings at Devonshire Mall.